Sharks are awesome, and tend to get a lot of attention in the media. However, they are often misrepresented and misunderstood. AWSC is working to change that by providing shark education and outreach to school age children as well as the general public. Educating the community and engaging children in learning opportunities connects people to one of the keystone species in our ocean’s ecosystem. Our programs not only help protect white sharks, they also provide information that helps people live harmoniously with nature. We offer in school programs for all grade levels. Programs can be designed for an individual class, grade level, or full school. Our in school programs can be a hands on experience or an engaging lecture. Representatives from the Atlantic White Shark Conservancy are available to give lectures for community groups, library programs, or corporate groups. Lectures are usually an hour in length and allow time for a question and answer period. We offer programs for scouts to earn a patch from the Atlantic White Shark Conservancy, or The Gills Club. By participating in hands on learning activities the scouts can earn their patch in a 90 minute program. Programs can take place at the Chatham Shark Center, or we can come to you! AWSC offers week long, day programs for youth ages 7-12 during the summer. Our programs are held at two different locations and are designed to immerse youth in a hands on learning experience where they can become shark scientists. With youth of all ages expressing an interest in sharks, we wanted to provide educators with a way to bring shark science into the classroom. We have free downloadable resources and tools for educators of all levels. Download them here. 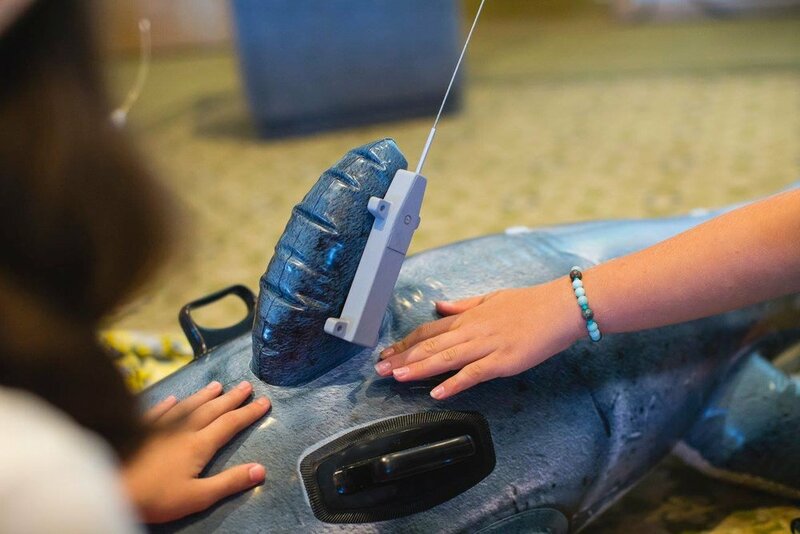 The Gills Club is AWSC's STEM-based education initiative dedicated to connecting girls with female scientists from around the world, sharing knowledge, and inspiring shark and ocean conservation.